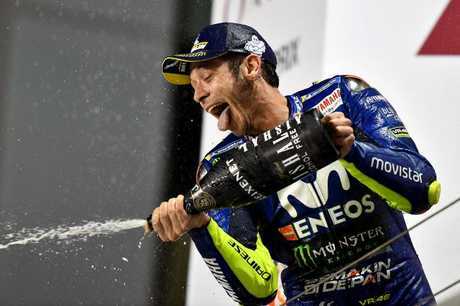 A NEW two-year deal in his pocket, Valentino Rossi had the perfect ammunition for anyone doubting his decision to race in MotoGP beyond his 40th birthday. The nine-time world champion secured a podium finish in the Grand Prix of Qatar, finishing third less than a second behind race winner Andrea Dovizioso. "You know, in our sport, like in other sport, just one thing is important: the result," he said. "You can speak a lot, but after, the only important thing is what happens on the track. "I don't race to demonstrate to people that I'm not too old, I race to demonstrate to me that I can stay at the top." 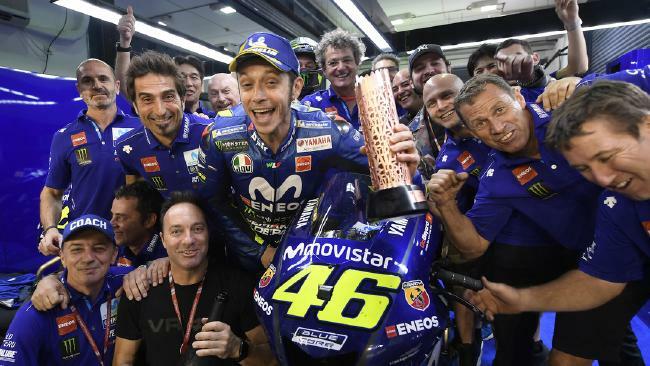 Valentino Rossi finished on the podium in Qatar. At one point, he genuinely looked like a contender for the top step of the podium. Rossi was the big mover early, leaping from eighth on the grid to fourth on the opening lap, before picking off the Repsol Hondas to move to second behind Johann Zarco soon after. He was also the only rider able to cling to Dovizioso and Marquez's coat tails in the closing laps. 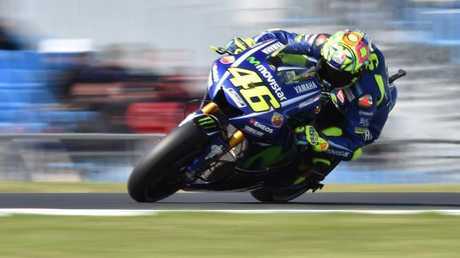 "I'm very happy because in the final period, the fastest on the track is Dovizioso and Marquez. To stay with them to the end is a good way start. "(The) idea was to stay as close as possible because I know Marquez will try to pass in the last corner, and if they run wide ... but it was a good show from behind. "I'm happy because when Dovi go in front, I know that they are able to change the rhythm. "That was the key moment for the podium for me because I knew I had to pass Zarco and I have to give the maximum to try to go with them." Although he felt he didn't quite have the pace to win, any hopes he had were dashed when he earlier had to attempt a pass on leader Zarco when he really hadn't wanted to. "I did a mistake with Zarco because I don't want to overtake," he said. "But when you go very fast and you are very close in the slipstream, in the air, it's very difficult to control in braking. Both of us went wide, and at that moment Marquez overtake and after Dovizioso overtake. "In that moment all the wolves behind, they want to take my arm. We entry with (Danilo) Petrucci in one corner maybe 20km/h faster to try to not lose too much. I know that I have the pace, so I don't want to lose too much time. "Without that mistake I can fight more with them, it's possible, but I don't know if I was able to win." 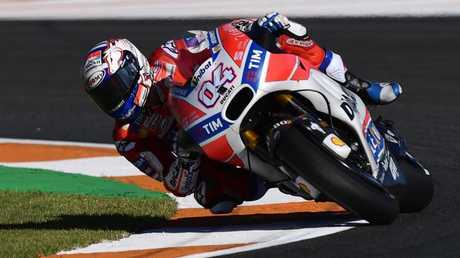 Andrea Dovizioso claimed the Grand Prix of Qatar. The factory Yamahas struggled through winter testing but were among the strongest on race day in Qatar, Maverick Vinales reinforcing the point with his ride from 15th on the opening lap to sixth. However, Rossi cautions not to read too much into the results, suggesting the form will swing from Race to Race. "In the qually I was not very happy about the balance because we try some modification to try to save the front tyre, but we lose the speed," he said. "We made a good step this morning, we improve the traction exit from the corners, and I also think we worked well with the electronics, yes. "But you know ... the good and the bad is that, from one track to the other, the difference of the bike will be different this year, so nobody knows what will happen in Argentina."